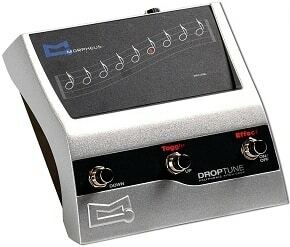 Two years ago, TC introduced polyphonic tuning to the world and since then guitarists everywhere have welcomed this next-generation way of tuning with open arms. 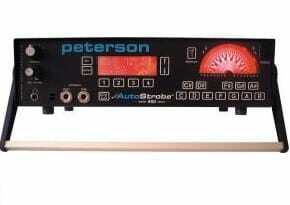 Now TC reveals the world’s smallest polyphonic tuner: PolyTune Mini that will fit on any pedal board. Sometimes size actually does matter and in such cases, PolyTune Mini is the perfect solution as no other pedal tuner in the world will take up so little space, which means more room for other pedals. PolyTune Mini is based on the exact same technology as the original PolyTune, so like its bigger brother it shows the tuning state of all strings simultaneously by simply strumming the guitar, allowing guitarists to get back to playing in a matter of seconds. 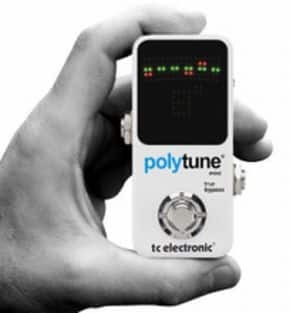 Just like the original PolyTune, PolyTune Mini is among the most precise tuners in the world, tuning with +/- 0.5 cent precision in chromatic mode and +/- 1 cent accuracy in polyphonic mode. Also, it automatically switches between chromatic and polyphonic modes depending on whether all strings are strummed at once or each string is picked individually. 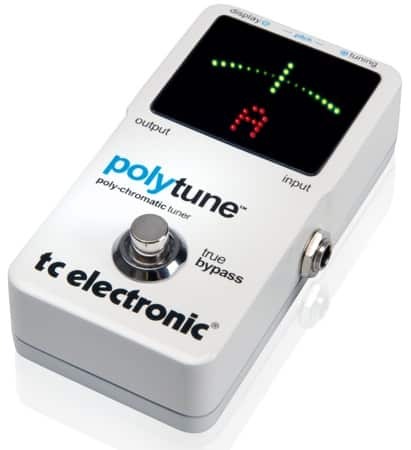 Finally, PolyTune Mini features Drop-D and Capo modes as well as True Bypass for zero tone coloration and a super-bright LED display with the same amount of LEDs as the original PolyTune.